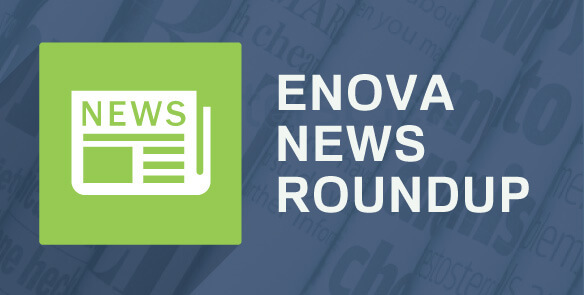 A Look at Enova in the News - Enova International, Inc.
As Enova continues to grow, we find ourselves being featured in the news more often. Here’s a roundup of the latest Enova mentions. For the third year in a row, Enova has been included on Built in Chicago’s list of the Top 100 Digital Companies in Chicago. Coming in at 4, Enova’s position (and tenure) on the list reveals the degree to which we have had success recruiting top tech talent. Another review of Enova’s public status, this article from ChicagoInno features CEO David Fisher in a discussion of the unique ways that Chicago companies have an advantage, and the recent tech growth in the Chicago area. A piece from the Chicago Tribune exploring the ways that various Chicago tech companies are luring talent from the West Coast. Enova’s Sarah Doll discusses the ways that the Enova interview process illuminates not only the expectations we have of our talent, but the caliber of talent we hire. A look at Enova’s recent spinoff from Cash America, and the success Enova has had in the last decade as both a financial and a tech company. The third feature on Enova’s spinoff comes from The Street, and digs into the details of Enova’s new status as a public company. Specifically, the article outlines the reasons that Enova can expect to be successful on the public market.